A new Apartment List report reveals that many renters want to relocate for more affordable housing and better job opportunities. The majority of renters indicate plans to settle down in a city other than where they currently reside, with Sunbelt renters more likely to settle in their current location. Renters in the Midwest and on the Coasts are more likely to settle down in a new metro, with a large share of renters in New York, Milwaukee, Cleveland and San Francisco planning to settle down elsewhere. In pricey East Coast and West Coast metros, renters cite affordability as the largest driver of relocation, while in inland metros — primarily located in the Midwest and South Atlantic — better job opportunities are the main factor driving renters to new locations. Of the Apartment List renters looking to move to new metros, some renters are searching within their state but many are looking to make cross-country moves. Although location preferences varied by metro, Washington, D.C., and Los Angeles are the most popular metros with renters nationwide. Atlanta was the third most popular metro, particularly popular with renters in southern states. Renters are traditionally more mobile than homeowners, moving to new cities and metros in search of better jobs, more affordable homes and lifestyle changes. In new analysis of our annual renter survey of about 24,000 renters, Apartment List found that 64 percent of renters plan to move to a different metro to settle down. In the new report, we analyze the factors that drive renters to new cities, and we identify where they are planning to end up. Do you plan on settling down in another city? If you plan on settling in another city, what’s your biggest reason for leaving your current city? To understand where renters are relocating, we analyzed Apartment List data of apartment searches made by Apartment List users. The search results show that, while some renters plan to move to new metros within their state, many hope to make big moves across the country. While the majority of renters in our survey plan to settle down in a new city, the renters most content to stay their current cities primarily live in Sunbelt states, such as Arizona, Texas, and Florida. Metros in southwestern states — Nevada, Arizona, New Mexico and Texas — are popular locations for settling down. 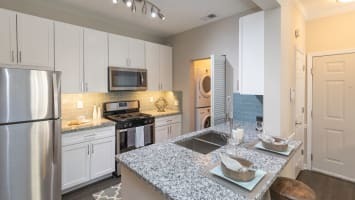 Additionally, the Florida metros of Jacksonville, Tampa and Orlando and North Carolina metros of Charlotte and Raleigh are desirable locations for renters to settle down. The metros where renters plan to settle down tend to be more affordable metros, indicating the ability to purchase a home may be one-factor enticing renters to stay. The top five metros where renters are the most satisfied settling down are all located in the South. San Antonio, No. 1, has the highest share of renters who plan to settle down, with 45 percent of current renters planning to stay in the metro. 57 percent renters in San Antonio express concerns about job opportunities, but renters are happy enough with the cost of living, weather, and social scene to stay. Renters in Louisville, No. 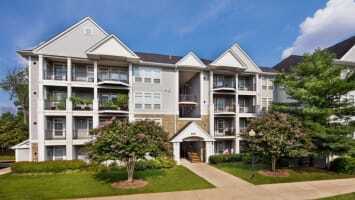 2, are very satisfied with opportunities to date and make friends, as well as the affordable cost of living. Despite some concerns about jobs and safety, 45 percent of Louisville renters plan to stay in the metro. Of renters in Houston, No. 3, 44 percent of renters plan to settle down in the metro. Houston renters are very satisfied with school quality and access to community activities, parks, and nightlife. 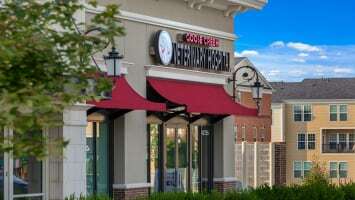 Renters are very satisfied with the North Carolina metros of Raleigh, No. 4, and Charlotte, No. 5, where 43 and 40 percent of renters plan to settle down, respectively. Renters in both these metros express some concern about affordability and job opportunities but are overall satisfied with the quality of life in their current city. Many renters plan to leave the Rust Belt, driven away by struggling economies and lack of job opportunities. About 80 percent of renters in Milwaukee, Cleveland and Detroit plan to settle elsewhere. Pittsburgh was the most popular metro for settling down in the Rust Belt, with 70 percent of renters hoping to settle elsewhere. A large share of renters in expensive coastal metros, such as New York, San Francisco and Boston, plan to settle elsewhere, with over 80 percent of renters in those cities planning to move away. Often, young, educated workers flock to these expensive metros to work for a few years after college or graduate school, but don’t plan to settle down permanently. Additionally, the rising cost of living may be putting additional pressure on renters to move out of Coastal metros, such as Washington, D.C., Seattle and Los Angeles, despite strong job markets. Job opportunities and affordability are the main drivers of renter mobility nationwide, cited by 34 percent and 30 percent of renters surveyed, respectively, as the primary reason they plan to move. Renters in inland metros cite the lack of job opportunities as the most common reason for relocating. Meanwhile, renters in coastal metros say the lack of affordability is the primary reason they plan to move to a new metro. While other factors, such as safety, commute time and weather, play less of a role in relocation decisions, they are important for many renters. About one-third of renters said their primary reason for moving is a factor other than jobs and affordability. For example, some renters move to safer communities, sunnier regions and cities with better schools. We classified pet friendliness, state and local taxes and access to public transit in the “other” category because only about one percent of renters cite them as a reason for moving. Renters in expensive East and West Coast metros are the most likely to cite affordability as their primary reason for relocating. In San Francisco, 63 percent of renters–the highest of any metro in the country–cite the high cost of living as the reason they want to leave the region. Renters in other West Coast cities, such as San Diego, Los Angeles, Seattle and Portland, frequently cite affordability as their reason for moving. On the East Coast, affordability is the biggest concern cited by renters in New York, followed by Miami, Boston and Washington, D.C. Affordability is also a major concern for renters in inland metros with rapidly rising rents, for example, in Denver and Austin, where rents grew by about 50 percent from 2005 to 2015. Affordability is the primary factor driving renters out of Denver and Austin, cited by 48 percent and 35 percent of renters, respectively. Affordability was not a concern in Columbia, S.C., Tallahassee, Fla., Albuquerque, N.M., Cincinnati, Ohio, and Omaha, Neb. — all metros in which less than ten percent of renters cite the cost of living as their primary reason for moving. Overall, affordability is less of a concern in Southern and Midwestern metros where rents and home prices tend to be lower compared to coastal cities. Three South Atlantic metros — Tallahassee, Columbia, and Greensboro — have the highest percentage of renters who view local job opportunities as the primary reason for leaving their current metro, with about two-third of renters citing concerns about job opportunities. These metros are smaller and lack the jobs that are often found in larger metros. Renters are more satisfied in large southern metros, such as Atlanta, Dallas and Miami, with less than one-third of renters citing job concerns as the primary reason for relocating. Rust Belt renters are also dissatisfied with job opportunities, for example, in Pittsburgh (62 percent) and Cincinnati (49 percent), where renters cite local job opportunities as their primary reason for leaving. Renters are most satisfied with the job opportunities in large coastal cities with strong economies such as San Francisco, New York, Los Angeles, Boston and Seattle. Unfortunately, strong job growth in these metros, combined with a lack of residential construction, has driven up housing costs causing an affordability crisis. Weather is the primary reason for moving cited by 7 percent of renters nationwide. In the Midwest, a much larger share of renters are dissatisfied with the cold weather. About one in five renters in Milwaukee, Cleveland, Indianapolis and Columbus say weather is the primary reason for moving out of their metro. Although renters overall are satisfied with warmer weather, renters in one warm city express dissatisfaction: Las Vegas. Fourteen percent of renters in Las Vegas, where summer temperatures can hit 120 degrees, cite weather as their primary reason for moving away. Renters are most satisfied with the weather in California and the South Atlantic. Of the 50 metros studied, San Francisco renters are the most satisfied with the weather, with only 0.5 percent of renters citing weather as their primary reason for leaving. Los Angeles and San Diego renters are also happy with the weather, with weather as the primary reason for moving cited by only one percent and two percent of renters, respectively. Despite some humidity in the South Atlantic, renters are happy with the weather there. For example, in Raleigh, Richmond, Miami, Greensboro, N.C., and Atlanta, only two percent of renters cite weather as the reason for their moves. While there are economic reasons for the movement from the Snowbelt to the Sunbelt, our renter survey indicates that weather preferences may play a role, as well. 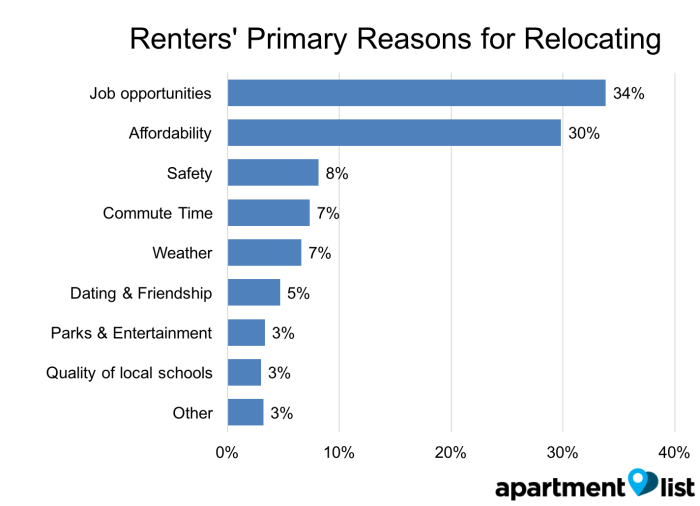 What are the top reasons renters are leaving each metro? Overall, affordability and jobs are the primary concern for about two-thirds of renters. Safety and crime rates are the third most common reason for moving, the primary concern for about 8 percent of renters. Safety is the largest concern for renters in Albuquerque (29 percent), Las Vegas (23 percent) and Louisville (22 percent). Renters in Midwestern cities with high crime rates, such as Detroit and Chicago, frequently cite crime as a reason for moving out of the metro. Commute time is a concern for only about 7 percent of renters nationwide, with the biggest commute complaints in Dallas (15 percent), Atlanta (13 percent), Washington, D.C. (13 percent). Schools are only the top factor for relocating for 3 percent of renters but can be a major concern for families in some metros. St. Louis renters are the most unhappy with the local schools, with about 8 percent of renters relocating to provide a better education for their children. According to the renters surveyed, options for dating and making friends are grim in Cincinnati, Omaha and Albuquerque, with about 12 percent providing this reason as their primary reason for leaving their metro. Omaha is also the metro where the most renters cited the lack of parks, entertainment and nightlife as a reason to move, followed by Oklahoma City and Albany. Looking for better dating opportunities? Renters have no complaints about dating in Louisville, Hartford, Ct., and Greensboro, N.C. Looking for cities with great nightlife and entertainment? Only about 1 percent of renters cite parks, nightlife and entertainment as their primary reason for leaving Seattle, Portland, St. Louis and Nashville. After analyzing why renters are leaving their current metros, we wanted to know where they are looking to relocate. We analyzed Apartment List search data based on rental searches to determine the top in-state and out-of-state destinations for renters in 50 metros across the country. Los Angeles and Washington, D.C., are popular with renters nationwide, both ranking in the top three out-of-state destinations for renters in about 40 percent of the metros studied. Atlanta is the most popular destination within the South and the third most popular destination for renters in the U.S., ranking in the top three out-of-state destinations for renters in 13 metros. Atlanta is the top out-of-state destination for renters in Charlotte, Kansas City, Orlando, Tallahassee and Columbia. San Francisco is not a popular search destination for renters, most likely due to the extremely high rents and home prices. San Francisco does not rank as the top out-of-state destination for renters in any of the top 50 metros. Colorado is popular with Texas renters. Denver is the top pick for Austin, Dallas and Houston renters and the third choice for San Antonio renters, who search most frequently in Colorado Springs. Denver, Phoenix, and Seattle is popular with renters in the Southwest, Mountain and West Coast regions of the United States. Utah is a popular destination for San Francisco renters, with Salt Lake City receiving the most out-of-state search traffic, and Ogden, Utah, ranking third. Many renters are searching in large metros in nearby states. For example, Salt Lake City renters are looking to move within the West Coast to the Los Angeles, Phoenix and Seattle metros. Renters in Hartford are searching in other East Coast cities such as Boston, Providence and Washington, D.C. Almost two-thirds of renters plan to settle down in different cities, with even higher figures in pricey coastal metros and struggling Rust Belt metros. Renters in the South are more likely to want to settle down where they currently reside but expressed concerns about job opportunities. Job opportunities and affordability are the most commonly cited reasons for moving to a new metro. Affordability concerns are greatest in pricey coastal cities, such as San Francisco and Seattle, whereas job opportunities are the largest factor driving moves in inland metros, such as Pittsburgh and Tallahassee. Large cities with strong job markets, including Los Angeles, Washington, D.C. and Atlanta are the most popular destinations for renters looking to settle down in a new state. Many renters are also interested in nearby metros that may offer a better job market or more affordable rents. Although affordability does seem to be deterring renters from moving to San Francisco, many renters are still searching in expensive cities, such as Washington, D.C., Los Angeles and Seattle. Our survey data indicates that many renters hope to relocate, and they seek affordable cities with strong job opportunities. As rents rise in many cities nationwide, more renters may be looking to relocate to metros with strong job growth and more affordable rents.